After having worn my hair in wash and go’s for 2 solid weeks, I was in need for a serious detangling session over the weekend. I usually detangle with coconut oil and conditioner, but for some reason I wanted to only use coconut oil and leave it in my hair overnight, as I know that coconut oil can really penetrate the strands deeply if left in the hair for a number of hours. Due to sheer laziness I ended up not doing it on Friday night, but found my myself holding my jar of coconut oil in front of the heater to melt it down somewhat on Saturday morning, ready to tackle the mane with oil only. I’d barely started when I stopped to ask myself why on earth I would think applying oil to my dry hair would be a good idea? I know that there are many curly girls out there who detangle just with oil, and I thought that I wanted to get in on the action too, but alas, it was not for me. Here I summarised the reasons why damp detangling works so much better for me than dry detangling. The added moisture makes the hair softer and more pliable. The softer hair allows for tangles to be worked through more easily. Conditioner coats the hair strand and smooths the cuticle, providing slip, which makes it even easier to remove tangles. I love how the combination of moisture (water and/or conditioner) and oil makes my hair feel. It can become painful if there are too many tangles and knots present. It takes much longer to detangle the hair dry than damp. If the hair is already quite dried out and brittle, it can lead to breakage. I don’t like the feel of oil only on my hair. Detangling is necessary for all naturals, whether you choose to do it with a comb, your fingers, a brush, or any of the nifty detangling tools on the market. And whether you choose to do it on dry, damp, or soaking wet hair is up to you, but I would definitely say that experimenting for yourself to see what you prefer is key. Ultimately the goal is to get get rid of as many tangles as possible without sacrificing length. Do you detangle on damp or dry hair? If you detangle on dry hair please share some of your tips and tricks below. To detangle dry, on very tangled hair, I think you’d be better off with a thicker oil like castor oil. So much more slip. And I think olive oil has good slip too. I dry detangle a lot but when my hair is super tangled, I spritz with water first. I think for me a water spritz at the very least is key to a good detangling session. interesting to read tips from other naturalistas. Hi Sam-Lee, I think it stands to reason that if you’re going to stretch your hair if will definitely alter your natural curl pattern. If I want to my wear my natural curl, I’ll opt for a wash ‘n go. But if I want a slightly stretched out curl, I’ll do a twist-out and if I want really stretched out curls I’ll style my hair in a braid-out as that gives me more lengthy curls. 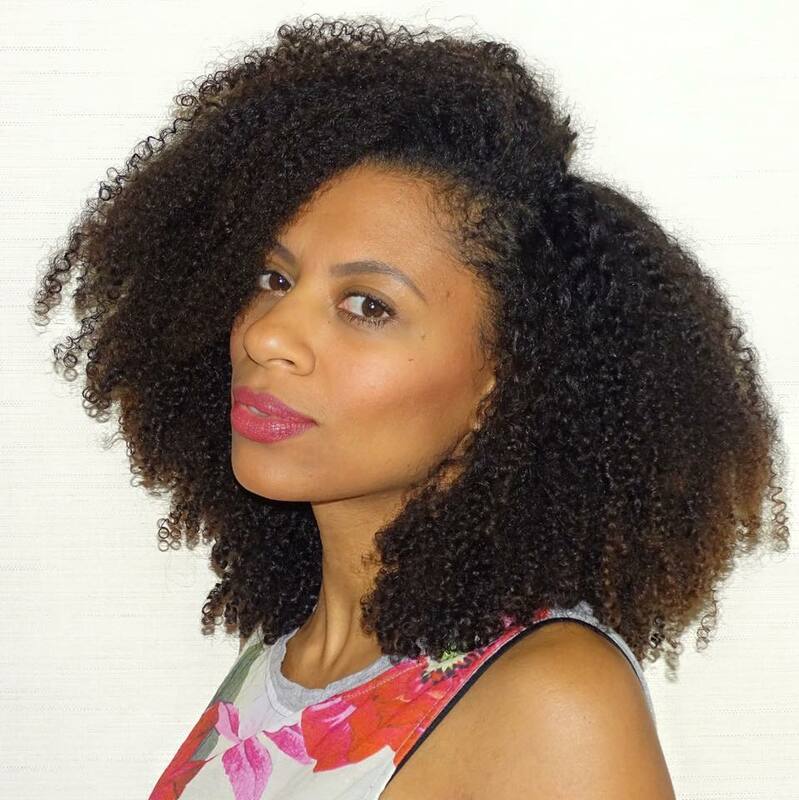 The braid-out is actually one of my favourite ways to style my hair and gives a lovely stretched out look. Maybe that could for you too? Let me know what you decide to do. Sounds like a good routine Jolene. And yes if it works for you, just stick with it. You might find that as your hair gets longer (if you plan to grow it out) some detangling before you get in the shower also helps a lot. Damp all the way! Tangles are stubborn without water – I agree. Great post. I found that when I dry detangle I can’t get all the knots and tangles. Once hair gets wet the curls coil and unless I redo the the detangling I end up with so much frizz its just not worthwhile. Oil as pre-poo can serve some purpose but an oil won’t help with curl definition, knots and tangles. As an overnight pre-poo treatment it works well for me as I don’t like the rancid smell of oil a few days after my washday. I also don’t like the wastage of two applications of conditioner. Instead I opt for a pre-poo, shampoo and a single conditioner that will be the detangle and leave in. It saves time and tons of money. My hair is tightly coily so any tool messes with my natural curl pattern. So its finger detangling always. I have found that it takes a few weeks for coils to reset post using a tool. Also, natural curls will improve with using the dime sized (fistful) of conditioner and smoothing of the natural clumps at the scalp. Conditioner worked in from scalp to ends in the downward motion helps to set natural coils. It also improves over time- curl memory returns with a regular serving of a good conditioner that is left in. It will however significantly impact on your drying time. I find it fascinating how differently our hair responds to products and techniques. For example, I’ll never use oil to try and achieve curl definition, but for my knots and tangles, it’s absolutely amazing! Like I mentioned in the post, it feels as if the oil melts the tangles away. As it lubricates the hair, it makes is so much easier for the strands to be separated from knots without breaking off. I know this technique works for loads of other naturals as well. But as we all know, no head of hair is the same, so I can understand that this technique won’t necessarily work for everyone. Next time I’m in Jo’burg we should get together and discuss all things hair!